Keith Emerson, a legendary keyboardist and founding member of the prog rock supergroup Emerson, Lake & Palmer, has passed away. He was 71 years old. 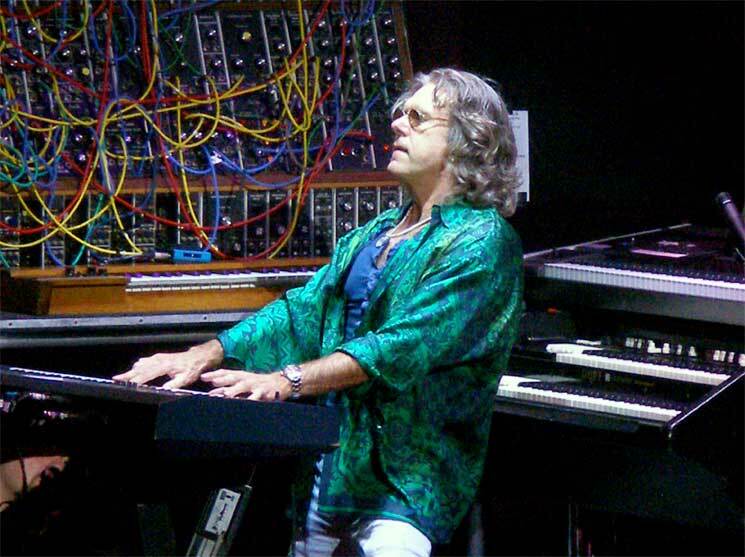 I am deeply saddened to learn of the passing of my good friend and brother-in-music, Keith Emerson. Keith was a gentle soul whose love for music and passion for his performance as a keyboard player will remain unmatched for many years to come. He was a pioneer and an innovator whose musical genius touched all of us in the worlds of rock, classical and jazz. I will always remember his warm smile, good sense of humor, compelling showmanship, and dedication to his musical craft. I am very lucky to have known him and to have made the music we did, together. Rest in peace, Keith. UPDATE (3/11, 5 p.m.): According to TMZ, Emerson's death is being investigated as a suicide. Reportedly, Emerson was found dead in his Santa Monica home due to a single gunshot to the head. TMZ reports that he had been suffering from a degenerative nerve issue in his right hand, which was hindering his keyboard playing and, as a result, led him to recently struggle with depression. As of press time, however, Emerson's formal cause of death has yet to be confirmed. UPDATE (3/12, 1 p.m.): Santa Monica police have confirmed to Billboard that Emerson's death is being ruled a suicide. Palmer and Emerson started ELP with Greg Lake in 1970. They were together until 1979, later reforming from 1991 to 1998 and again in 2010. Prior to his work with ELP, Emerson famously formed the Nice in the late '60s. The group disbanded in 1970, though Emerson later rejoined with them in 2002. The keyboardist was also involved with the groups Gary Farr & the T-Bones, the V.I.P. 's, the Keith Emerson Band and many others. He also had a prolific solo career, as well as worked on a series of soundtracks, perhaps most famously penning the score to Dario Argento's classic 1980 film Inferno. Emerson is survived by his ex-wife Elinor and their two sons, Aaron Ole Emerson and Damon Keith Emerson.